A Chartered Psychologist,(international prize-winning poster) PhD in Psycho-oncology, retired Registered Nurse and Midwife, Shelagh studied Single Honours Psychology, TCD (1988), and was elected to Foundation Scholarship (1987).Following four years as a postgraduate neuropsychology student (TCD;HRB funded), Shelagh undertook a personal course of Autogenic Training (AT) in Dublin which strongly influenced her subsequent work. 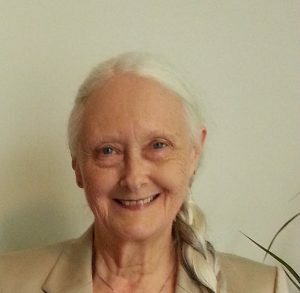 Following qualificationwith Wirral Autogenic Training Centre as an Autogenic Therapist in 2001, by her(age obliged) retirement in 2011,Shelaghhad facilitated more than 20 AT group programmes for people with cancer and/or for people with non-cancerchronic painon a pro bono and/ or research basis. Shelagh has an MA in Healthcare Management (IPA/UCD 2004), (EHSS funded) a Postgraduate Diploma in Statistics (TCD, 2010)(DCU funded)was Senior Health Promotion Officer for Older Persons with the HSE, Dublin (2002-2007) and Lecturer in Psycho-oncology School of Nursing and Human Sciences, DCU, Dublin (2004-2011).Shelaghwas Programme Chair for the DCU accredited M.Sc in Psycho-oncology and Co-Principal Investigator of a postdoctoral study: ‘Meaningful methods of identifying psychological distress in patients with advanced cancer’ (ICS funded), which sought to validate the (NCCN) Distress Thermometer in an Irish context. Shelagh has published in peer and non-peer journals, book chapters and is the author of Pain Management in Nursing Practice, an elaboration of the nursing curriculum of the International Association for the Study of Pain (IASP) published by SAGE in conjunction with IASP. Post retirement research project in Autogenic Training for Healthcare Professionals in Ireland. In 2016 Shelagh retrained as a Autogenic Therapist with the British Autogenic Society, took the ISAX Ingenuity Build Your Own Business for Entrepreneurs aged 50+ programme in collaboration with the Local Enterprise Offices and set upa postretirement Registered Business: AutogenicTrainingIreland with the two fold aim of running private and pro bono Autogenic Training programmes on a group and ‘1 to 1’ basis. Shelagh is currently working with the British Autogenic Society inearly stage planning to facilitate a Post Graduate Certificate in Autogenic Training (PGCAT) for Healthcare Professionals in Ireland to become Autogenic Therapists. Entry to the PGCAT programme will require mandatory completion of a personal Autogenic Training group or ‘1 to 1’ programme.The first NMPDU HSE funded research based personal Autogenic Training programme for Nurses completed in St John’s Hospital/ UHL in May-June 2018,giving this cohorteligibility to study for the PGCAT.